The London College of Music (LCM) Winter 2018 Practical exams are soon here! The exams will be held between the 8th and the 29th October 2018. There will be a total of 362 students sitting for this exam session – 342 grade exams and 20 diplomas. GRADES: Piano, Violin, Clarinet, Classical Guitar, Classical Saxophone, Pop Music Vocals, Flute, Drum Kit, Snare Drum, Timpani, Trumpet, Euphonium, Baritone, Trombone, French Horn, and Accordion. DIPLOMAS: Piano, Clarinet, Violin, Classical Guitar, Drum Kit, and Conducting. Timothy Rogers won a major music scholarship to St Edward’s, Oxford, before reading music at Cardiff University. He holds a BMus (Hons) degree and has also been awarded the Fellowship diplomas of Trinity College London and the London College of Music. Rogers has followed a career in publishing, working for Novello, Music Sales, the Royal School of Church Music and Walker Books. In 1992, he set up his own music publishing business, Encore Publications, and now works as its Head of Publishing. The catalogue enjoys a worldwide reputation as a specialist publisher of choral music, featuring the works of more than 100 composers, such as Stephen Cleobury and Sir Philip Ledger. Choral works published by Encore Publications have often featured in the Festival of Nine Lessons and Carols from King’s College, Cambridge, as well as other major events including the royal weddings of H.R.H. Prince William to Catherine Middleton in 2011 and H.R.H. Prince Harry to Meghan Markle in May 2018. He complements and refreshes this core activity with a portfolio of freelance jobs, including composing and private music teaching (violin, composition & theory), as well as work covering marketing, editing and copyright. In 1987, he became one of the youngest composers in the famous Carols for Choirs series, edited by Sir David Willcocks and John Rutter, and published by Oxford University Press. His output includes choral and organ music, some of which is published by Stainer & Bell and the RSCM. His works for solo organ have been widely performed by distinguished organists including Francis Jackson, who performed Exultate at York Minster, and Kevin Bowyer, who broadcast the piece. The choirs of Coventry, Ely, Norwich and Portsmouth Cathedrals in the UK, and the choir of St Paul’s Cathedral London, Ontario in Canada, have all sung his choral works. His music has been recorded and broadcast on the BBC. Since 2013, he has also worked alongside Bob Chilcott, Adrian Partington and Christopher Robinson as a judge of the John Sanders Memorial Competition for Young Composers. 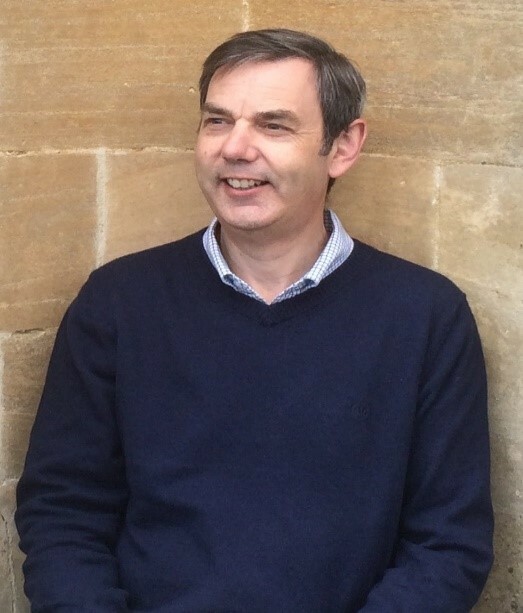 Rogers became an examiner for the London College of Music at the University of West London in 2015 and has recently made tours to China, Hong Kong, Ireland and Turkey, as well as examining throughout the UK. He is also a member of the LCM’s theory marking panel.